The advances in robotics enable robots to perform all sorts of tasks flawlessly, demonstrating that the performance of most of them are far more efficient than humans, and with the added value of the work they do You are entrusted without making any complaint or protest. We have already seen that there is amply qualified to practice professions as androids chef, firefighter, police, therapist and yes, journalist. Now, this list must be added a new job that can be played perfectly by a robot: the dump. 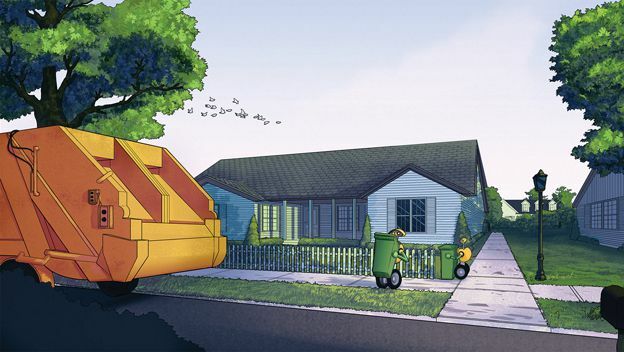 And it is that Volvo, under the ROAR (Autonomous Robot-based Refuse handling) project, has set a target to develop intelligent technological solutions for the future, one of the first to see the birth to a system of waste collection and management Robotic waste will arrive in 2016. To develop this system, the company is working with Chalmers University of Technology and Malardalen University in Sweden, with the Pennsylvania State University in US and the Renova company specializing in recycling. All these agencies will put their knowledge together to develop a robot with instructions received from the operating system garbage truck , to collect the containers completely silently neighborhood, emptying into the vehicle and place them back in their original position. “The purpose of ROAR is to show how, in the very near future, will use smart to help in a wide range of activities in society machines”, Volvo said in a statement. “This technology can be applied in many areas, garbage collection is just one example”. The corporation will work on robotic system for collecting waste to about June of next year, at which they hope to test their robots landfills in a real neighborhood.